Tonight I had to go to Lowes to grab string for the weed eater. 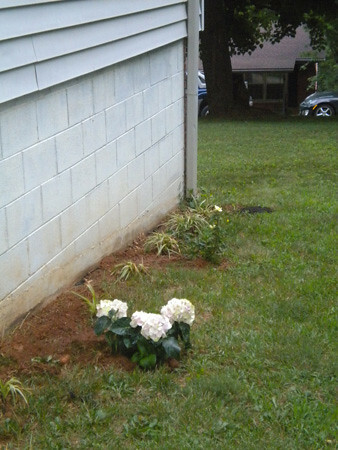 I walked out with the string, tomato stakes, a rose plant and a hydrangea bush. The plants were clearanced and I couldn’t NOT get them! The other side of the house (next to our driveway) might be my next project. I was able to get the overgrown grass out tonight, and now I need a ton of flowers to make it really pretty – and weed-less. I have no idea what’s gotten into me. It could be all of the nice yards around us, or the fact that we’ve lived here over a year and it doesn’t look like it, but whatever it is…I’ll take the motivation. I want our space to look amazing! I am so impressed with your yard work motivation!! We went for a walk yesterday and it was SO hot I almost didn’t make it to the library. I need a way to kill out the stupid Virginia creeper in my bushes. Any ideas? 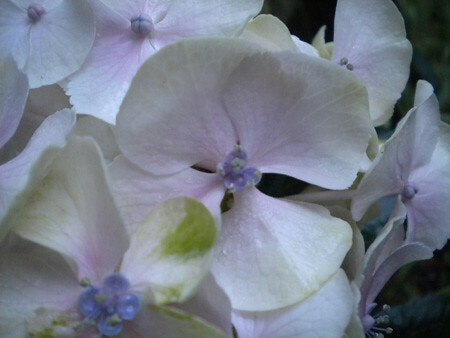 oh I love hydrangeas! Pretty!